Emphasizing a commitment to a healthier lifestyle for all Floridians, the Florida Department of Environmental Protection (DEP) is recognizing October as Florida Greenways and Trails Month. With more than 5,000 miles of trails and 80,000 acres of greenway, Florida provides residents and visitors of all ages and abilities with year-round access to a wide variety of free health and fitness activities. 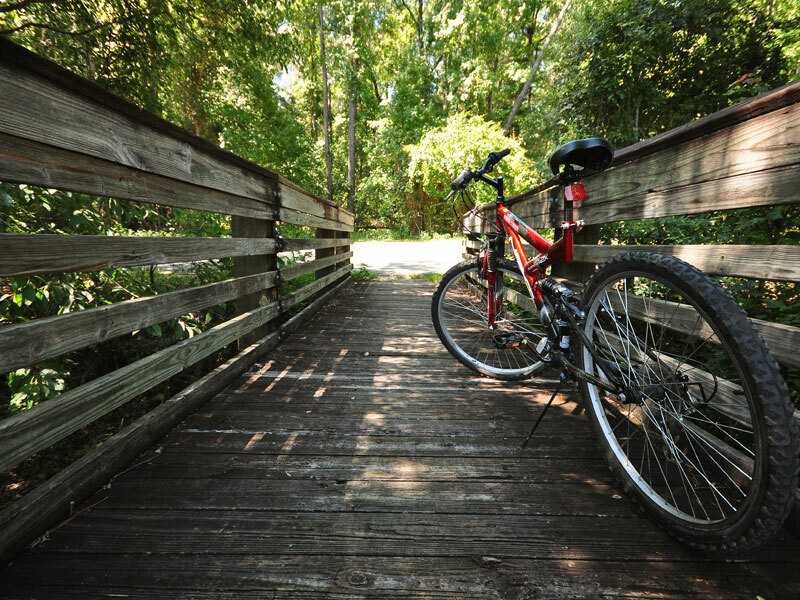 Greenways and trails provide recreational opportunities, protect Florida’s natural resources, preserve historical and cultural sites and connect communities. Greenways protect natural resources and connect communities. More than 100 events are taking place in more than 59 counties around the state to celebrate Florida Greenways and Trails Month, including the 13th Annual Rails to Trails Bike Ride on the Withlacoochee State Trail, the Calusa Blueway Paddling Festival and an Apalachicola Canoe Trip. Events will highlight the natural beauty of Florida’s trails with equestrian rides, educational hikes and birding festivals as well as paddling excursions, running and mountain biking events. DEP’s Office of Greenways & Trails manages eight state trails, in addition to the Marjorie Harris Carr Cross Florida Greenway, Florida’s longest green corridor stretching 110 miles from the St. Johns River near Palatka to the Gulf of Mexico near Inglis. Of the eight state trails, six are rail-trails, which are railroad corridors converted to recreational trails for hiking, biking, skating and equestrian activities. Through Florida Forever, the state’s premier land acquisition program, $4.5 million is allocated annually to purchase and preserve land for Florida’s greenways and trails. For a list of events in your area, click here. 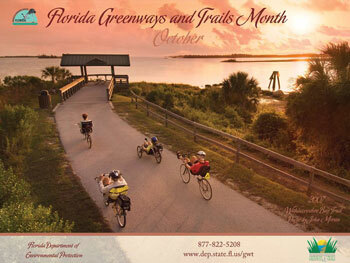 To view the Governor’s Greenways and Trails Month proclamation, click here.